Home › AllOTSEGO | Columns | Hometown Oneonta | The Freeman's Journal | This Week's Newspapers › ABOLISH OTSEGO NOW! In my column of Aug. 9-10, 2018, I suggested that Otsego County might follow the example of Tompkins County and set up an Energy Task Force. I had little expectation that anything would come of it, but, thanks to a bipartisan effort led by county Representatives Michelle Farwell and Meg Kennedy, that Task Force is now a reality. The Task Force will have to face the fact that, even as we continue to be dependent in the near term on fossil fuels, we have little choice but to abandon them as soon as we can. Most of us are alarmed at the gravity of global warming and climate change caused by greenhouse gas emissions driven largely, if not wholly, by human activity. No need to rehearse all that here. This problem is now the object of public policy in New York State. The Public Service Commission is pushing utilities to convert to renewables. The Cuomo Administration is demanding a 50-percent reduction in greenhouse gas emissions by 2030, and a 100-percent reduction by 2050, with billions of dollars pledged towards this effort. In Otsego County, however, New York State public policy and conventional energy use are on a collision course. Otsego Now, including our local Industrial Development Authority (IDA), is seeking massive investment (up to hundreds of millions of dollars) to dramatically expand the availability of natural gas in Oneonta. That directly contradicts New York State energy policy to replace fossil fuels with Renewables. This is crazy, given the climate crisis. It may also be economically foolhardy. In a recent article in The New York Review of Books, Bill McKibben points out that we may be approaching peak fossil-fuel use. This isn’t because we are running out of fossil fuels, but because the energy cost of renewables is rapidly declining while that of fossil fuels is steadily rising. If he’s right, future investment ought to go to renewables, not to fossil fuels. “Natural gas was supposed to be the planet’s next big fuel source…,” he reminds us. The shale industry continues to be debt-ridden and unprofitable, a speculative bubble, not a financially reliable enterprise. Nonetheless, here at home Otsego Now continues to push for massive investment in gas expansion, including a possible gas power plant in Oneonta. As the recent public hearing on the proposed project in Oneonta made evident, this is unacceptable to a large and growing section of our population. The bone-headedness of Otsego Now shouldn’t be a surprise. Since Otsego Now absorbed the county’s Industrial Development Authority a few years back, it’s had a dismal record. According to the state Comptroller’s report on county IDAs, only 29 jobs were created in Otsego County in 2016, the lowest of any county in our region. 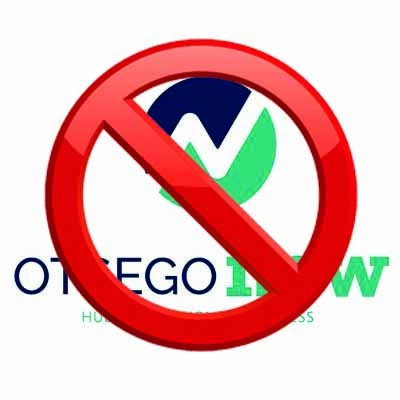 Otsego Now is not only unproductive, but inefficient. Its expense per job gained – over $33,000 – is orders of magnitude more than in neighboring counties. It’s time for Otsego County to restrain Otsego Now from acting like the rogue agency it increasingly appears to be, and instead consider how to better integrate economic development and energy concerns into an accountable decision-making process. Although the county appoints the Otsego Now board, it has allowed it to operate independently, without sufficient oversight. A first step to reasserting public control could be a moratorium on fossil-fuel development proposals in the county, including those from Otsego Now, until the Energy Task Force, which includes representatives from Otsego Now, has had a chance to complete its work. Beyond that, it’s time to broaden and deepen local economic development decision-making, not confine it to a few hands. The county could replace Otsego Now with an Economic Development Council composed of Energy Task Force members, the county Planning Department, IDA resources, business leaders, environmental leaders, and other community organizations and individuals. Such a Council could be appointed by and accountable to the county Board of Representatives, and be directed to serve the interests of all the citizens of Otsego County. Otsego Now is a relic of a time when promoting heavy industry seemed like a no-brainer. hose days are gone. As the harms of traditional industrial development of all sorts become more evident, the public demands and deserves a voice in economic decision-making. The climate crisis, public health, property values and social justice are public concerns which can no longer be separated from economic development. ”only 29 jobs were created in Otsego County in 2016, the lowest of any county in our region. ”If there are no businesses expanding and hiring and no new businesses willing to build here, how would there be any new jobs? New businesses want as cheap an energy source as possible. I am willing to bet they would all agree going Green is the way to go at some time but still need a fallback energy source at the very least. That being gas. Leist harmful of all the fossil fuels and readily available if it was readily available. Get It! This bunch of ‘anti-gas’/no gas here’ advocates just don’t ‘get It”. I surmise that most of the Antis are set. No long term financial issues to deal with but wonder how many have Solar/ Wind generated energy as part of their household? What? A little pricey too set up right now? I would love to have green energy but don’t have the $15000.00 cash to layout in spite of rebates. I grew up in this area in a large family and have known many large families here. Look around. they’re not here and neither will any new large families choose to stay. Otsego County, the land of NO Opportunity!